I devote my time, talents, knowledge, expertise and interests in helping clients break through the obstacles that seem to be holding them back from achieving their desired goals. I got into fitness because that’s what sets my soul on fire. It has transformed my life and now I get to help you through this lifetime journey. Impossible is not a word but an excuse not to try. It may appear to be tough but it also “always seems impossible till its done”. Clients I’ve worked with can attest to that and so can I. Fitness is life changing and as a Certified Personal Trainer with a B.Sc. in Sports, I’m here to TRANSFORM you. I believe that every new day is a day to change our lives and staying fit in itself is priceless. We have three choices in life, either we give in, give up or give it all we got. Tony is a jack of all trades in fitness and he sure does master them all. 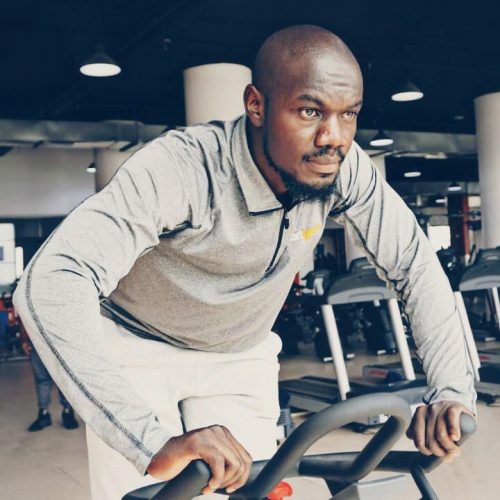 In his bag of accolades, he has the prolific Rugby player and coach Title, Strength and Conditioning Coach, an awesome Personal Trainer and that energetic Group Fitness Trainer. Tony can help guide you towards the result you desire. His approach is result oriented. With his intention, wisdom and dedication, you will surely accomplish many goals together. They call me Ella! 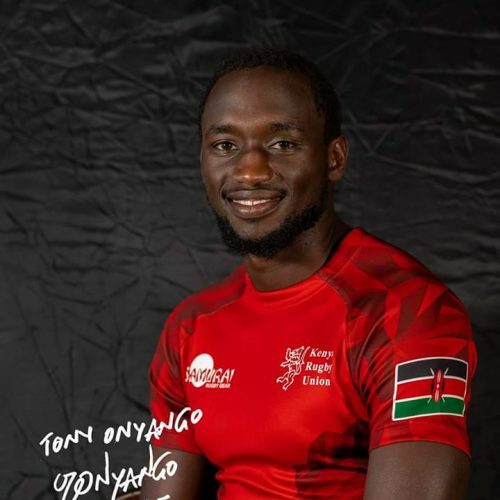 A graduate of the University of Nairobi in Physical Education and Sports. My specialty is in developing personalized programmes for strength training and conditioning, weight loss and muscle building. I am also equipped with the necessary skills in providing emergency first aid. I am a group fitness instructor and I do HIIT (High Intensity Interval Trainings). Roxy is a dedicated fitness enthusiast and a personal trainer for the past 3 years. She has competed in the bodybuilding contest Bikini category twice and emerged among the top 3 contestants. 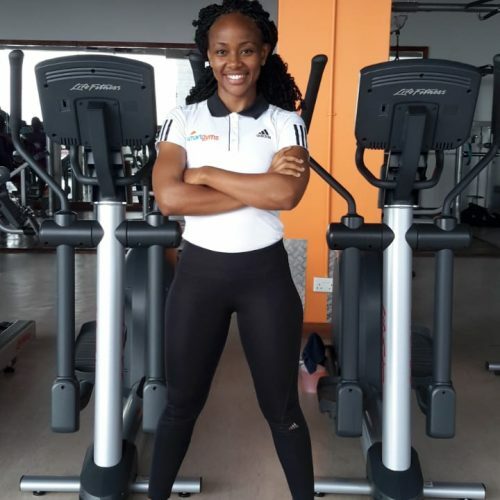 She is a fitness coach and a group instructor specializing in Spin classes, Circuit training, Pre and post-natal workouts, Fat loss and weight gain. She has knowledge in Supplementation; usage and intake of the different supplements and their effects. My love for fitness started at an early age through sports. I grew playing football and basketball, all of which required general fitness and endurance. I later took my fitness course with National Academy of Sports Medicine (NASM) where I got certified as a personal trainer. I am experienced in weight and shape management, athletic performance, helping my clients define and achieve their fitness goals with regular performance assessments. More to that, I have taught indoor cycling classes and competed in various bodybuilding and fitness shows. 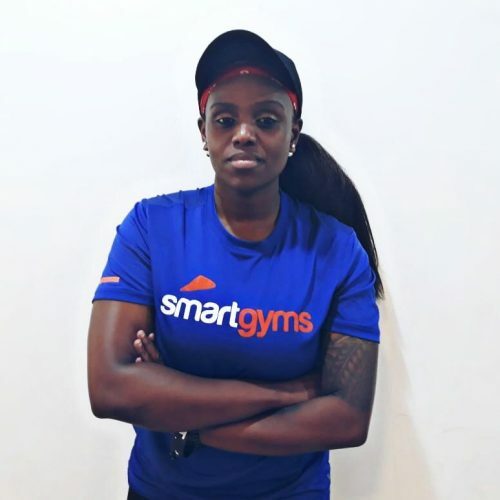 Monique brings Unique Fitness to Smart Gyms with over 7 years of practice in the industry. Worked with several health clubs in the country and South Sudan promoting Health & Wellness, and transforming lives through fitness. I also kick balls! Naaah! Just kidding. 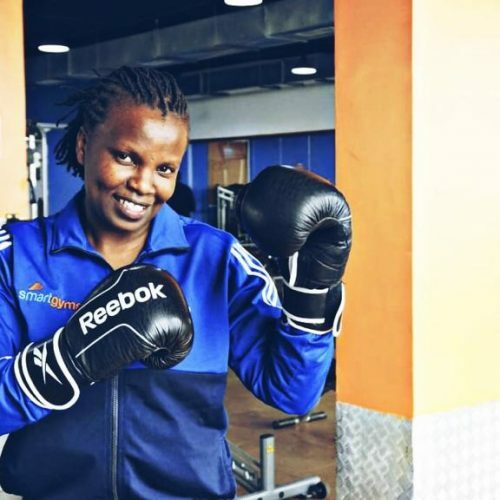 I have been awarded a Black belt in Kick Boxing and represented Kenya in 2006 Games three times before I branched out to train and mentor others. Discipline is Key. 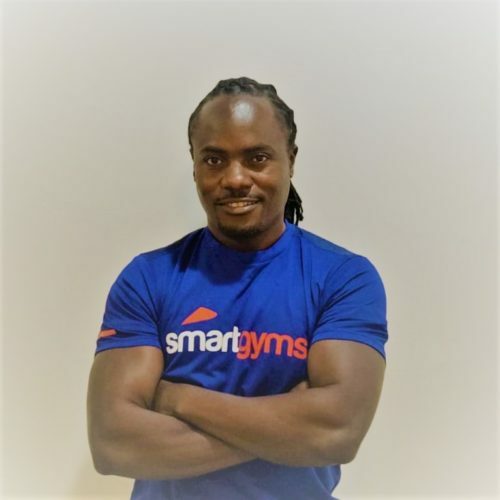 I have been working in the fitness industry as a personal trainer and gym instructor for more than 8 years and have helped many clients achieve their goals. Working with a wide variety of clients has given me the experience on how different training methods and nutrition play a big part on achieving goals. If you are looking to take fitness to the next level, book a consultation today. Founder of Cze dance, workouts that help shape and tone the body, Alphy has more than ten years in the fitness world. He has worked with different teams in promotion of health and fitness. He was the main Instructor in the Television fitness show, Slim Possible Season 1&2. His is not just giving people workouts but giving results and confidence in their life and health. Alphy’s line of expertise is in fat loss, muscle gain, body control and feel good workouts. He is certified in Sports and a football referee as well. His motivation comes from seeing people’s lives change and goal achieved while on duty. 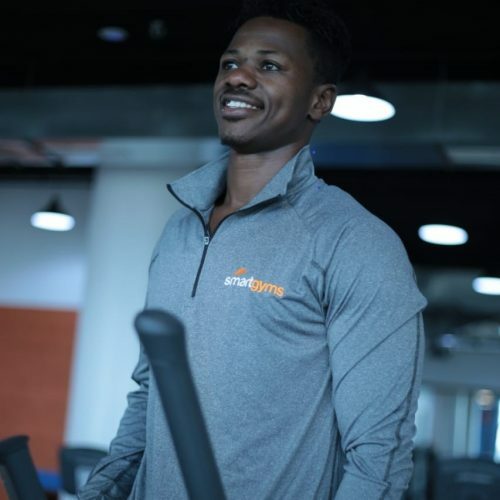 He aims to make his brand a household name in order to inspire everyone that it is possible to look fly and be in shape and also make a difference in their lives. 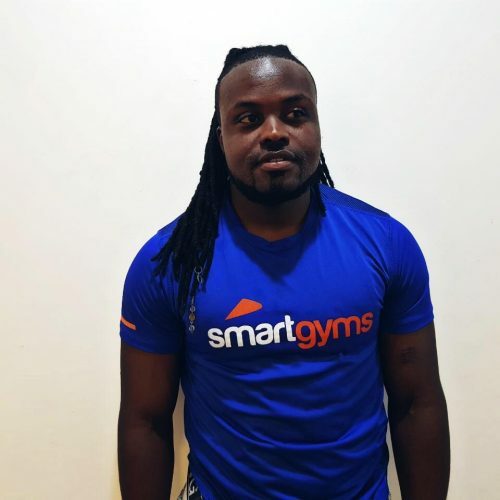 Josky Joel is a highly competent and enthusiastic gym, dancehall spin, Metafit and Insanity instructor. He is a certified group and personal trainer, with an experience of 9 years in the fitness industry. Am passionate about fitness. I have a track record of evaluating a client physical fitness, understanding their needs and developing achievable and fun workout programs to help them meet their fitness goals. I as well specialize in body conditioning and HIIT workouts. This helps in weight loss and muscle gains/ weight gain. Welcome me into your fitness journey and let us enjoy every step of being healthy and fit. My name is Aggrey Omambia. I am a professional fitness trainer. I have been in the fitness industry since 2016 but my fitness journey started way before. I also am a personal trainer and a group fitness instructor. I have as well received a gold medal for winning the 2018 swimming competition at Visa Oshwal Primary School. Some of my achievements are helping a client lose 20kgs from 148kg to 128kg in 2 months and another 15kgs from 93kgs to 78kgs in two and a half months. Abdi can help guide you towards the RESULTS that you desire. He documents the results of clients who have succeeded in achieving their goals. His approach is result oriented- you tell him what you want, you follow instructions and together you will succeed. 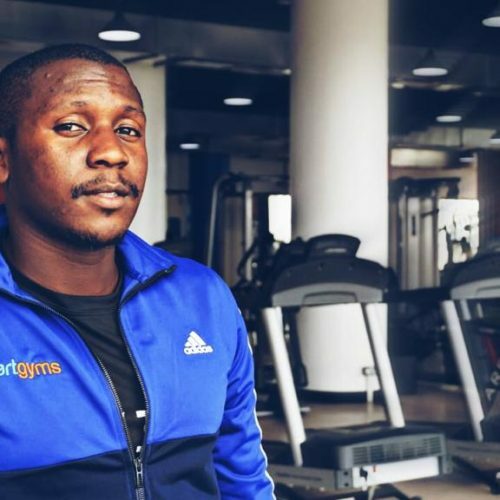 He started his fitness journey in high school and his passion grew more even after graduating his O levels. Abdi then decided to pursue a B.Sc. Exercise and Sports Science. He also has a certificate in Sports Nutrition (ACME). National youth service- Discharge certificate. With 7 years of experience in physical education, I enjoy working with a variety of clientele focusing on nutrition, weight loss, and strength and conditioning. When not in gym I enjoy outdoor fitness e.g. swimming, cycling and hiking expeditions. 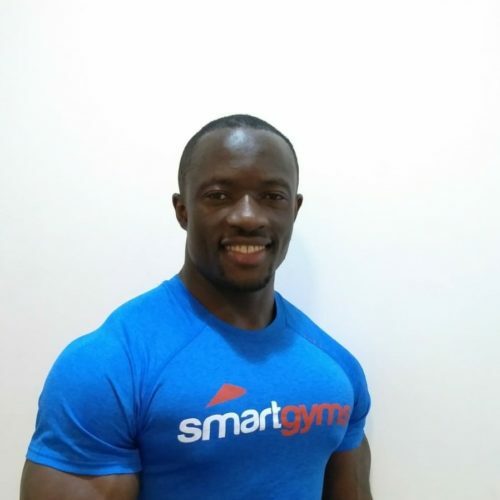 George has over 5 years’ experience in the fitness industry. His started as a lifestyle then grew into passion. 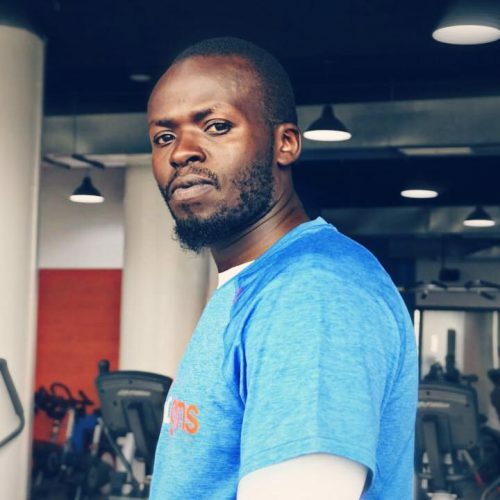 He developed a love for cycling and now he organizes cycling races on weekends for groups just to encourage people to keep fit. George enjoys spending his time playing basketball more to being a fitness coach. 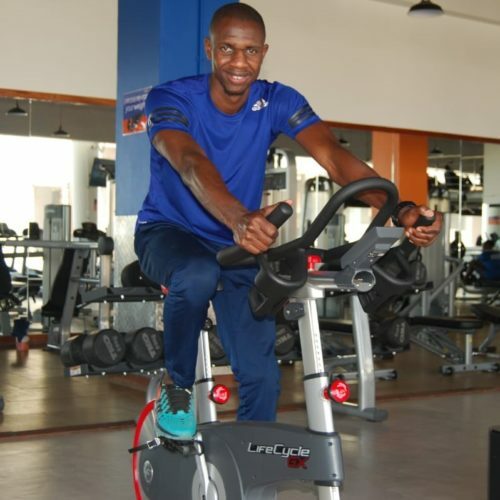 This he says are his ways of keeping fit off the gym environment. He is well equipped in helping people in their weight loss journey, weight/muscle gain and general fitness. George does group classes as well and you would find him doing a circuit training. 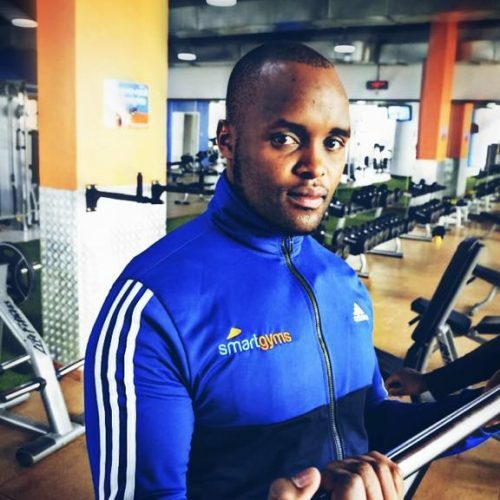 He prides himself in helping a client gain 15kg of muscle weight in 6 months. I never imagined myself venturing into fitness. As a kid, I loved Acrobatics and Gymnastics until I almost lost my spine to it. A painful back took me off the team and totally changed my life for the worse. My only hope was to be smart with a dream to make it big in Information Technology. 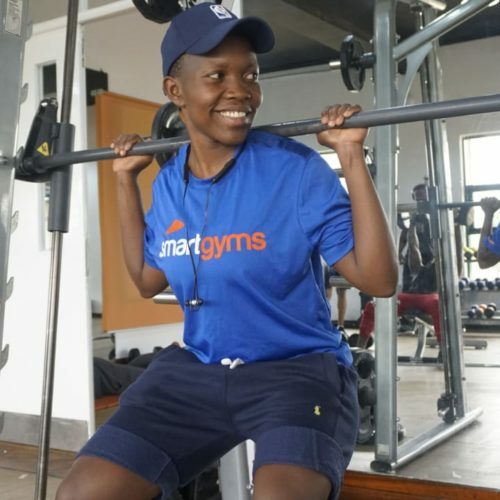 All that changed with an invitation letter from Kenyatta University to pursue Physical Education as a career. I went overboard. 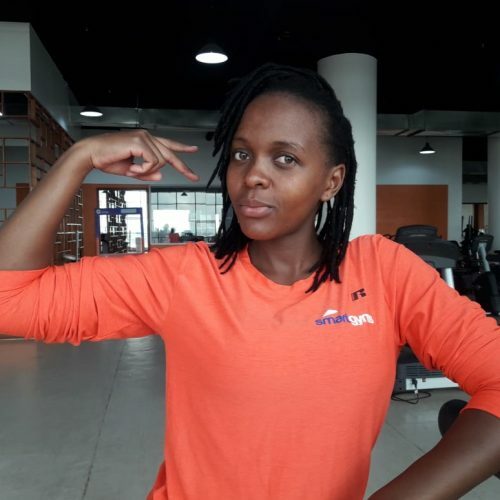 Today am a proud Coach and Founder, Maasaifit, a small community of fitness enthusiasts and experts with a common goal; Get Better as inscribed in our slogan. I strive to bring science to fitness and make it a lifestyle. SPECIALISATION: Sports Therapy and Personal Training. I am energetic with the desire to transform the industry by educating my clients on easy doable workouts. As a kid, I would carry heavy loads with no single ounce of knowledge about fitness. I had a perfect bikini body that any woman would die for. Life was perfect until parenthood where I gained a lot of weight after my second born which was a big struggle. This affected my self esteem which tortured me and I lost my social being until I made a choice to leave a healthy and fit life. I started my journey by changing my eating habits and working out 1-2 hours five days a week. My love for health and fitness pushed me to my current career. To inspire others to embrace fitness and change their emotional aspects towards a healthy lifestyle. Main focus is self defense and karate training through home and gym visits. I also specialize in Weight loss, muscle gain, strength training and toning through cross functional training. Hello there! My name is Papa a.k.a. Fit-Trinity. My journey into fitness started way back in the 90s from peer pressure by friends. I loved the vibe and I guess, it consumed me till date. Exercising as a start was for personal fitness and to feel good. Then I realized, why can’t I help other people enjoy this feeling? Always remember, your health is your greatest wealth. My objectives :- Improve your physical condition, Tone your body, Boost your energy. 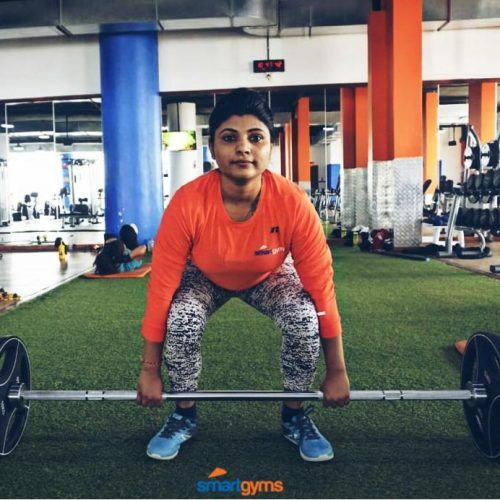 My training focuses on Fat loss, Strength, Flexibility, Cross fit, Functional training, Conditioning exercise, Weight lifting, Power Lifting and Body transformation. I customize my training according to your desired fitness goal. I also do nutritional consultation, curate meal plans for vegans and vegetarians as well. I am Francis- the Ninja. I specialize in body weight training, conditioning, weight loss and functional training. I teach calisthenics which aims at building on strength, mobility, flexibility and agility by just using one’s body weight. 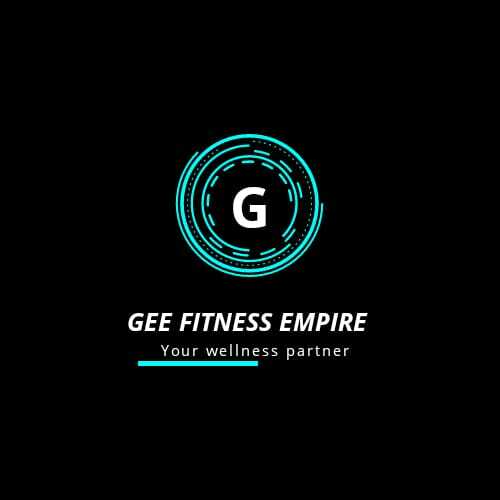 A fitness trainer always ready to help you take your health and fitness goals to the next level. I believe in sore today, strong tomorrow. We were all born to be the best version of ourselves. The body will only achieve what the mind believes. I train HIIT, core classes, crossfit. We can only bring about change in our lives when we clearly see two truths: that the pain of remaining the same is greater than the pain of fighting our tougher battles, and that by taking bigger risks, we gain the most valuable rewards. Workout should be a celebration not a punishment, it’s not about a 6-pack body; it’s about refining and physical culturing. It’s not about slimming, it’s about purifying and evolving, it’s about how much you want it and how willing you are to get it, it’s about consistency and having the mind and the attitude of a go getter, laying down excuses and going for what is yours. Remember your current body is the only body that can take you to your new body. -Certified Kettlebell Trainer, Sandbag, Bulgarian Bag, and Grip. -Bootcamp, Body pump and Circuit Training. 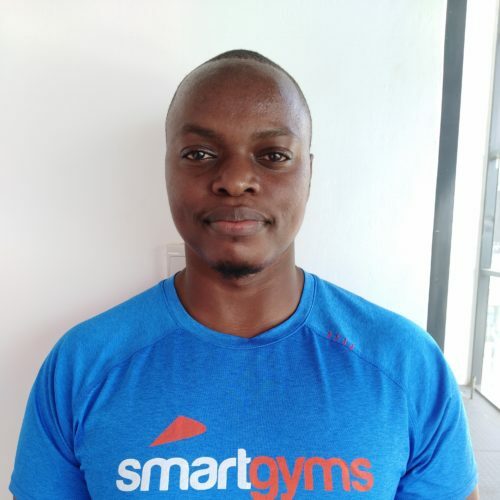 Boniface Kazindutsi is an Aerobics/Step instructor at SmartGyms Diamond Plaza 2. Before joining the fitness industry, he was a footballer. This pushed him to be serious with fitness hence started training to help other people enjoy the benefits that come with a fit lifestyle. He also trains people who’ve had injuries. 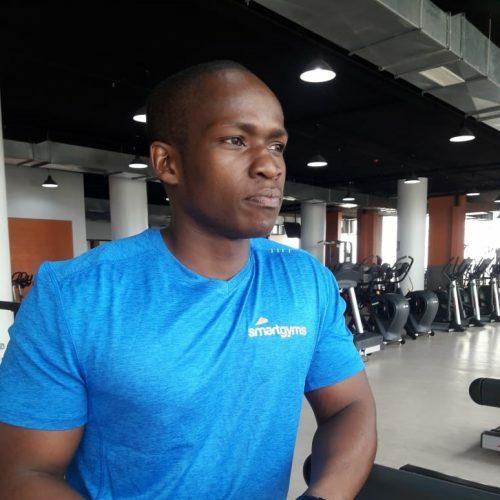 My name is George Odhiambo and I am proud to be a professional personal Trainer and fitness consultant. I currently have 8 years of experience with helping people of all ages get in shape. I love walking with people in theeir fitness journey and work togther to reach their goals. I Customize every program to each Clients need and i adopt a Science based approach to programming that maximizes result while minimizing risk of injury. When you partner with me, you benefit from a Smart approach to fitness that just Plain work. I loved fitness from a young age and this love pushed me into training. I love Karate as a sport and i started training in 2002. I later joined the gym to hone my Karate moves then my perspective of fitness changed. At the gym, i met people with different needs like weight loss, weight gain, muscle toning and this brought about a shift in my plans. I decided to not only concentrate in Karate but also in the different workout exercises to help people around. I am currently a graduate of Nairobi Zoezi Institute. This is where i got even the knowledge and confidence of doing classes like: Insanity, Abs Attack and Karate. My specialty is in weight loss and muscle gain. My name is Joab Ochieng. Been involved in the fitness industry for the past thirteen years. 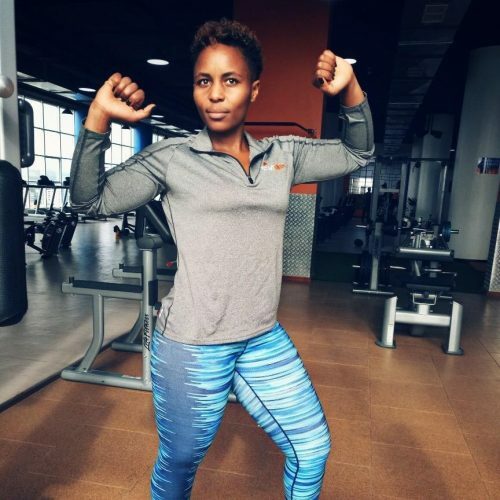 I crossed over from corporate Kenya in pursuit of my passion and winded up as a personal trainer and supplement merchant. My niche is with women wanting to get their groove back and post partum moms. So far I have worked with ten ladies and all together they have lost an accumulated 90kgs. I am specialised in Tabata and Insanity for group sessions and currently working on introducing Tae bo into the mix. Becoming a fitness trainer comes out of my own love of being active, fit and healthy. It is becoming increasingly difficult people to adopt a healthy and balanced lifestyle. That’s where I step in; I love seeing people literally transform their lives through their commitment to growth and hardwork. I am an experienced body building athlete and the overall champion; 2016 Mr. Kamukunji talent search and 2018 Mr. Kenya consecutively. 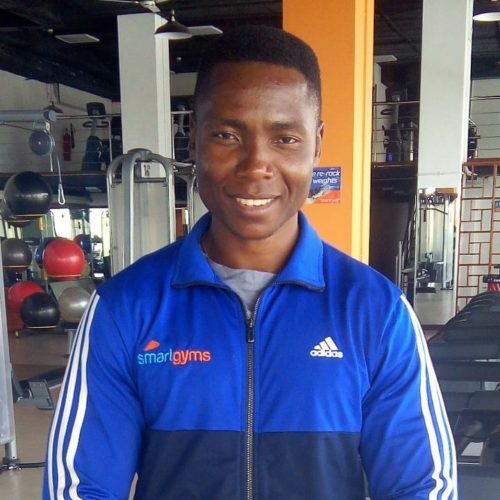 I am a qualified personal trainer with ISSA(International Sports Science Association) and also a spin instructor in all levels. 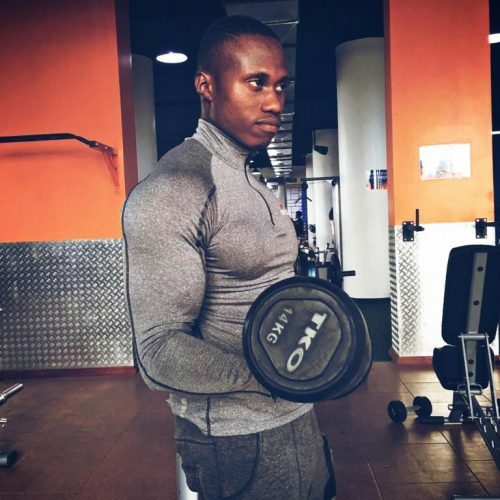 My type of training is customized to fit an individual according to their fitness goals; whether the objective is fat loss, muscle toning, strength and conditioning or body building, I have the knowledge and experience to help my clients to realize their ambitions. My clients are a constant inspiration for me, as each and every one of them strives to become the best version of themselves no matter their situation. I believe in a holistic approach to training comprising of; -Resistance weight training, Cardio, CONSISTENCY AND DISCIPLINE. I am Sylvester a certified trainer through the American Council on Exercises. I do specific program design on (GFI) group fitness instructor i.e. Taerobics, Bootcamps, Aerobics, Insanity. 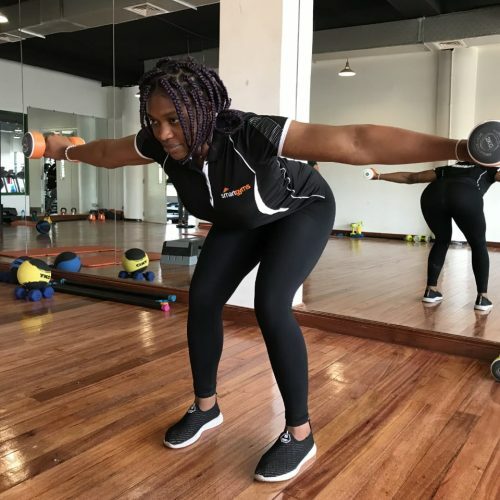 Personal training (PT)is also on my sleeve if your ultimate goal is in fat loss, muscle toning, strength training and conditioning through tailor-made programme to suit your body type. 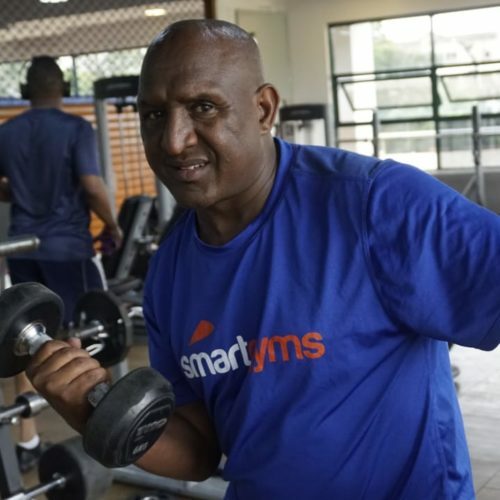 I am one committed and a goal-oriented trainer, it’s been seven years down the line with both local and international experience in Kenya and the kingdom of Bahrain. Founder of fix and flex personal training and fitness jamboree in schools an outfit for spear heading the fitness agenda in more fun way. My name is Benjamin. 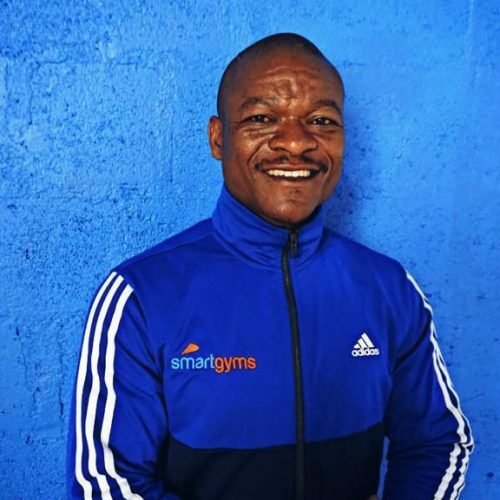 I am an energetic group instructor and a personal trainer with a strong background in Pilates, weight training, Aerobics and dance instructor. I am highly motivated to help others reach fitness goals. I also promoter activities and coping methods that transform unhealthy habits and fuel healthy habits and bodies. 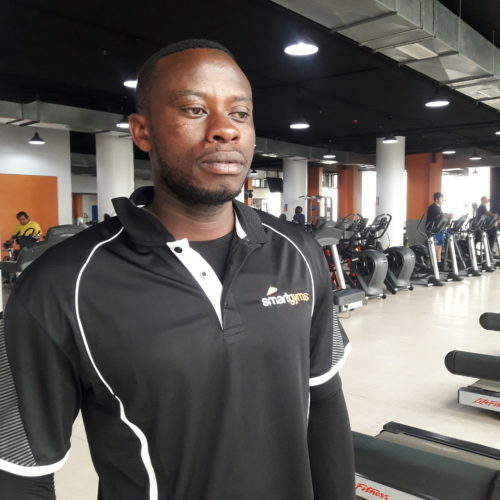 More to that, I am a certified Personal trainer with Body Wise fitness Centre and a group trainer with Images Groove fitness center. 6.Aerobics, Dance and Taebo expert.